In last week’s episode, we left off as the colonies celebrated the repeal of the hated Stamp Act. Colonists now viewed Parliament with suspicion though. Today we look at a variety colonial events that continued to push apart Britain from her colonies. 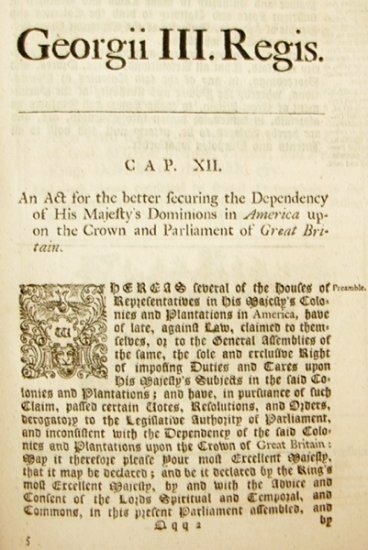 The Declaratory Act put colonists on notice that Parliament did not accept colonial arguments over its tax authority. Colonists argued over the possible threat it implied. Parliament had taken the language of the Declaratory Act from a 1719 Act applied to Ireland. In the intervening years, Parliament had not attempted to levy taxes against Ireland. Indeed, it would not do so until 1801 when an Act of Union made Ireland part of Britain and gave the Irish representation in Parliament. Based on the Irish precedent, many colonists decided it meant Parliament would not try to levy another direct tax. The Declaratory Act would remain a festering sore between the colonies and England, and it was only one of many indications that the colonies were moving farther from the ideological mainstream in England. A good example of this divide is a letter sent from London merchants to the colonists in February 1765. This was right about the time when the Stamp Act repeal debates were coming to an end and the repeal was making its way through Parliament. The London merchants who authored the letter had been fighting for the Stamp Act repeal so that trade would return to normal. They announced the successful repeal, but warned colonists that any further attempts to challenge Parliamentary authority might force another unpleasant confrontation. They advised responding to the repeal with “duty, submission, and gratitude.” They sent the public letter to New York merchants. But as was common, newspapers all across the colonies republished it. In Virginia, George Mason famously responded to this letter with a public letter of his own. He attacked the tone of the Merchants’ letter. He said it conveyed the typical English attitude that colonists were misbehaving children who needed better manners. He scoffed at the idea that colonists should be grateful for having to fight for their basic rights as free men. He went on to point out that Parliament repealed the law, not because they wanted to be nice to the colonies, but because it was in their direct financial interest. The law killed profitable trade between England and the colonies. Mason sent the letter to be published in London newspapers. It made clear that the colonies were in no mood for quiet compromise or conciliation. Around this same time, an unexpected event in Virginia only made things worse for the colonial economies. A scandal resulted in a cash crunch, which only created further divisions. I already discussed the Wheelwright Affair back in Episode 21. 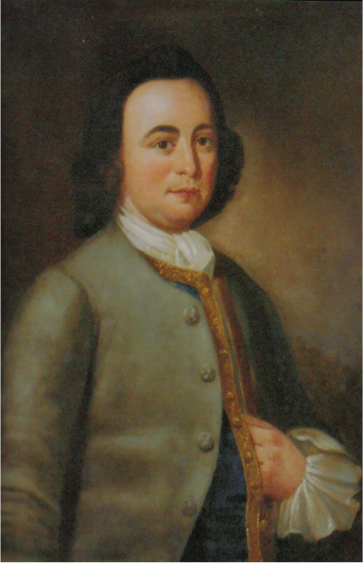 Elias Wheelwright fled Boston owing hundreds of thousands of pounds to people all over New England. 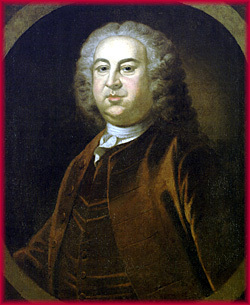 This one man created a sudden and massive cash crunch in New England in 1765. A year later, a new crisis caused a similar effect in Virginia. One of the most powerful men in Virginia, John Robinson, who was speaker of the House of Burgesses, Secretary of the Province, and Colonial Treasurer, died in May 1766. I’ve neglected to mention him so far, but he was a controlling figure in the colony, often more so than the colonial governors who came and went. Like most powerful men, he had political enemies. Two members of the House of Burgesses were among his most vocal adversaries. Richard Henry Lee, had luckily been rejected for Stamp Act Commissioner of Virginia. This allowed him to become a colonial leader in opposition to the Act. Patrick Henry, who along with Lee, had successfully opposed Robinson’s 1764 attempt to create a government financed slush fund from which planters could borrow on favorable terms. Both men distrusted Robinson’s control of colonial finances but did not mount a direct challenge while he lived. On Robinson’s death, Lee and Henry demanded an audit of his accounts as colonial treasurer. They suspected that he had commingled government and private funds. The audit proved them right. Robinson had embezzled hundreds of thousands of pounds from the government. Remember all that paper money that Virginia had issued over the previous decade to pay for the French and Indian War? When that money was repaid in taxes, it was supposed to be taken out of circulation and destroyed. Apparently, Robinson thought it a shame to burn all that cash and instead decided to take it home. He used most of it as a private slush fund to provide personal loans to most of the wealthiest, prominent, and politically connected families in the colony. He had lent money totaling over £130,000. These loans had helped the wealthy planters get through the difficult years and had offset the harmful effects of the Currency Act of 1764 that I discussed back in Episode 20. Now, however, Robinson’s estate had to pay that money back to the colony, which meant the planters had to repay their loans to the estate. Once repaid, all that money could finally be burned. This created a major cash shortage in the colony. Many wealthy planters had to demand repayment of loans that they made to others in order to repay their loans to Robinson’s estate. Others had to sell land or other property in a poor market to raise money, leading to financial ruin. It would take 25 years to settle Robinson’s estate and clean up the financial mess he had created. More importantly though, the incident tore apart the good old boys’ club that had been the House of Burgesses. Generally, the rich planter politicians had tried to work together through disputes and keep scandals out of the public eye. The Robinson Scandal created deep hostile divisions between the members. Lee’s enemies, for example, released his application to become Stamp Act Commissioner, thus tarnishing his reputation as a Stamp Act opponent. The affair further destroyed the reputation of the elites among the middle and lower class Virginians, meaning they would be much less deferential in coming years. The working class who had been suffering through the poor economy were not happy to find out the rich planters were using an illegal slush fund to avoid the same suffering. Of course, all the suffering from the currency shortage reminded everyone why they were mad at Parliament for passing the Currency Act two years earlier. Back in London, Parliament was still messing around with trade laws. A few months after the Stamp Act Repeal, Rockingham’s ministry led Parliamentary passage of the Free Port Act of 1766 and a few related bills, making changes to colonial trade laws. Although Parliament passed several bills with different names related to trade that summer, I’m going to refer to all of them under this one name just to keep things simple. The Free Port Act set up two free ports in the British West Indies (the Caribbean) where colonial French, Spanish or other islands could trade goods, particularly molasses. This might have done wonders for ending American sugar smuggling. Foreign producers could bring their supplies into the two free ports on Domenica. Then, American merchants could buy what they needed legally. With the duty now at a reasonable rate, there would be no need to smuggle. One big problem though - any foreign goods sold at the free ports from foreign colonies, had to go from there to Britain. Colonists could not buy sugar to take directly back to New England. This Act was not about improving American trade. It was about making it more advantageous for French sugar islands to trade with England rather than the American colonies. Parliament also reduced the duty of threepence per gallon on molasses to one penny. But since most of this trade had to go through London, the increased shipping costs were far worse than the duties. Therefore, the tax cut did nothing to reduce smuggling. Other clauses further restricted trade or attempted to shut down incentives for smuggling. However, they also made small shipping nearly impossible. Any ship carrying any cargo had to furnish a bond of at least £1000 (more for larger ships) promising not to land the goods in Europe or Ireland. This was onerous enough for wealthier merchants in cities with larger ports. For smaller shippers it was a ridiculous burden. There were no exceptions for ships staying within a colony or of any minimum size. In theory, if not practice, the law could apply to traders bringing trade goods down a river in a canoe. The notion that they were supposed to find a customs agent before starting their trip and post a £1000 bond seems absurd. Given the difficulties of overland transport, the new rules made legal trade among small local transports virtually impossible. In short, these laws which were sold to the colonists as an attempt to relieve their trade problems, only made things worse. These were not violations of fundamental colonial rights, but they did remind colonists that Britain would always keep them at a disadvantage. Turning now to New York, a court case also contributed to colonial grumbling. In 1763, a debt collector named Cunningham tried to collect a £150 debt owed by a man named Forsey. During the course of discussions, which apparently got rather testy, Cunningham drew his sword and ran through Forsey. Forsey lived and Cunningham was convicted of assault. 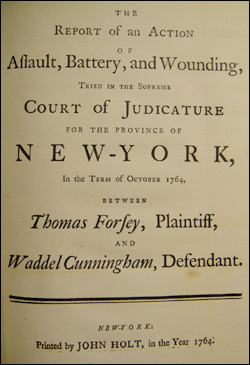 After he recovered, Forsey sued Cunningham for his damages and received a jury award of £1500 (about $350,000 in inflation adjusted dollars) in October 1764. To many, the award seemed far too high, the result of jury bias against debt collectors. Forsey appealed to New York Lt. Gov. Colden, who was at the time acting Governor. Colden demanded the judges appear before him and explain why they would did not overrule such an outrageous judgment. The judges met with Coldon but refused to alter their opinions. The debate raged throughout 1765 as both sides appealed to officials in London to resolve the issue. Eventually the English Attorney General and Solicitor General upheld the verdict based on the defendant’s failure to seek a writ of error. This resolution did not arrive until early 1766. So for more than a year, colonists saw this ongoing battle as an attempt to subvert jury trials and allow crown appointed governors to have the final say in court cases. It was another example for the colonists of how hard they had to fight just to keep their basic rights. Moving up to Boston now, I want to talk about a relatively minor incident, that is interesting because it is an example of similar incidents happening regularly, and why officials got so frustrated in their attempts to enforce customs laws. In September 1766, custom officials received a tip that Captain Daniel Malcom, a merchant trader, had untaxed wine in his Boston home. As was common practice, Malcom had a large storage area in his home for storing commercial goods. Customs Commissioner Benjamin Hallowell along with two customs agents and a deputy arrived to search Malcom’s property early in the morning. He allowed them to search most of the storage areas, but refused to provide access to a locked cellar, saying he had rented that space to another person and did not have authority, or a key to open the door. When they threatened to break down the door, Malcom, armed with two pistols and a sword made some threats of his own. After a tense standoff, the authorities left to gather reinforcements. They got the Sheriff and also notified the Governor about what was happening. They also decided to go to court and apply for a regular search warrant. They already had a general warrant, but as I’ve mentioned before, many considered those to be a violation of their rights. Officials caught up with Malcom in a public place on King Street, and tried to convince him to allow the search. Malcom told them that the only way they were getting in was to break in, after which he would sue them for unlawful entry. That afternoon the Sheriff and four others went back to Malcom’s house, only to find it locked up tight. As they tried to gain entry, a crowd of onlookers started to gather. The Sheriff saw the beginnings of a mob. A tense standoff lasted for hours as the Sheriff tried to convince onlookers to join him in a posse. No one would do so unless he named the informer who claimed there were untaxed goods in the house. Of course, naming an informer probably would have resulted in him getting a new suit made of tar and feathers. That was not going to happen. Finally, after dark, the sheriff and customs officials decided to leave. Malcom then produced the wine so that the mob could dispose of the evidence in the most enjoyable way. The reason this particular case of many gets attention is that Gov. Bernard thought that James Otis was behind the event. It seems that Otis was looking for a test case to challenge the validity of general warrants. Capt. Malcom was a prominent member of the militia and a friend of Otis. Bernard took multiple depositions the following day to document the incident for London. He was trying to make a case for bringing more soldiers to Massachusetts to enforce the law. Otis then, on behalf of the legislature, demanded Bernard make his documents on the incident available for review. The legislature sent its own version of events to its agent in London in case the issue arose there. So although this incident is well documented, it is only one example of a large number of cases where mobs regularly continued to thwart customs officials trying to enforce the law. The Quartering Act also continued to remain a sore spot for the colonies. Although passed along with the Stamp Act back in 1765, I have not given it much attention up until now because it had not been something the Colonists had complained about nearly as much as the Stamp Act. Prime Minister Grenville had wisely rejected Gen. Gage’s proposal to allow him to house soldiers in private homes. The Act merely provided that colonies provide some reasonable housing for soldiers and pay for their needs, such as firewood and candles. There weren’t that many soldiers stationed in the colonies, so it just wasn’t that much of an issue. The bulk of British forces remained in Canada after the Seven Years War. There were small garrisons of no more than a few dozen soldiers at some western forts. Beyond that, there were a few companies in Georgia and in New York. None of these seemed to raise much controversy. Even before the 1765 Act, colonies regularly contributed money for housing soldiers. Most colonies wanted troops available in case of an Indian attack or slave uprising. The minimal amount of funds needed to provide housing was generally considered worth it. During the winter of 1765-1766 though, the mood was much different. Following the Stamp Act riots, Gen. Gage decided to move several battalions of soldiers from Canada to be stationed in New York City, Philadelphia, and Charleston, all major port cities. Their purpose clearly was to keep the colonists in line. Gage would have to move the soldiers through New York. He demanded the newly arrived NY Gov. 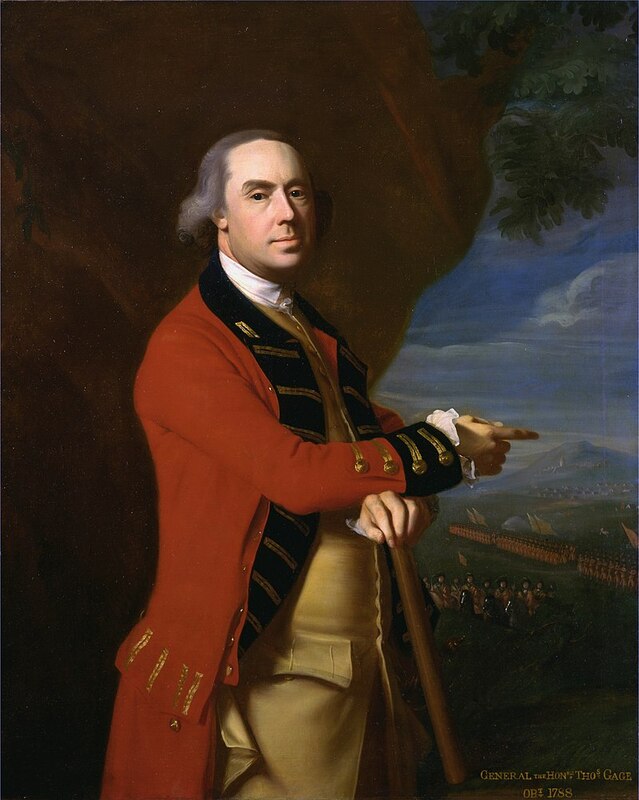 Henry Moore supply his troops with housing and supplies as they traveled through NY, pursuant to the Quartering Act. Moore, of course, had to go to the Assembly for funds. They were in no mood to cooperate while still fighting with England over the Stamp Act. The Assembly refused any funds, arguing that they already paid for the garrisons in Albany and New York City. They would only reimburse expenses after the fact. Gage and Moore tried to force the issue, and sent letters back to London regarding New York’s refusal to comply. The Governor eventually came up with about £400 of money that had been allocated years earlier to fund the troops. At the same time, New York was in the middle of a land dispute. Settlers from Connecticut and Massachusetts were crossing into lands long claimed by New York in the Hudson River Valley. Squatters were setting up farms on land owned by prominent New Yorkers, many of whom sat in the Assembly. The squatters formed militias to block any attempts to force them off the land or pay rent. They also threatened to destroy the homes of New York landlords who attempted to enforce their property claims. Gage seems to have taken some satisfaction in seeing the NY landowners face these squatters. Many of these wealthy men were Sons of Liberty and who had supported the Stamp Act mobs. Now those mobs were attacking them and they needed his help. Even so, when Gov. Moore asked Gage to restore order in the area, he deployed two regiments of regulars to burn the homes of the squatters, and arrest any settlers or militia who resisted. The New England squatters gave some resistance, with several regulars shot and at least one killed. However by the end of the summer 1766, New York once again controlled the region. New Englanders, of course were outraged by the pillaging of the regulars against their farms, but ended up pulling out of the area. Their account of Gage’s actions reached London first, resulting in Gage receiving a reprimand for involving the army in inter-colonial land disputes. But at least he had shown New Yorkers the value of an army to keep order and protect property rights. In the midst of all this, the Assembly obliged Gage by authorizing a barracks bill in June 1766. It directed £3000 for the troops. However, the money came from funds already allocated in earlier years and did not cover all the expenses. Moore debated vetoing the bill since it really only limited the use of money he already had discretion to spend as he wished. But in the end Gage urged him to sign it, figuring some funds were better than continued fighting. Both Gage and Moore wrote back to London about New York’s refusal to obey the requirements of the Quartering Act. Gage had particular reason to be outraged. He had just used the army to protect New York property rights in an action that got him in trouble with his superiors, and the ungrateful New Yorkers would not even pay the reasonable housing expenses for the soldiers protecting their property. In December 1766, the Assembly needed to allocate additional funds. They simply refused to do so. The year ended with New York simply refusing to obey the terms of the Quartering Act. Next Week: Parliament pokes the colonies in the eye once again with passage of the Townshend Acts. Colden Letter Books vol. 1, & vol 2, by Cadwallader Colden (1877) (collected correspondence of NY Gov. Cadwallader Colden). The History of the Province of Massachusetts Bay, from 1749 to 1774, by Thomas Hutchinson, John Hutchinson (ed) (1828) (This book was edited and published in London using Gov. Thomas Hutchinson’s personal papers. The editor was his grandson). The Diary and Letters of His Excellency Thomas Hutchinson, by Thomas Hutchinson, Peter Orlando Hutchinson (ed) (1884) (Editor is Thomas Hutchinson’s great-grandson). Great Debates in American History, Vol. 1, Marion Mills Miller (ed) (1913). As If an Enemy's Country: The British Occupation of Boston and the Origins of Revolution, by Richard Archer (2010). Empire of Fortune, by Francis Jennings (1988). Growth of the American Revolution 1766-1775, Bernhard Knollenberg (1975). Origins of the American Revolution, by John Miller (1943). In a Rebellious Spirit: The Argument of Facts, the Liberty Riot, and the Coming of the American Revolution, by John Phillip Reid (1979). A New Age Now Begins, Vol. I, by Page Smith (1976). The Boston Massacre, by Hiller Zobel (1970).